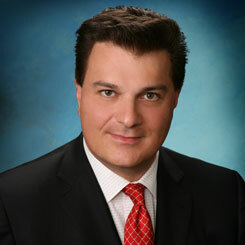 Dr. Kotikian is a Board Certified Oral and Maxillofacial surgeon in private practice in Glendale, CA. Presently he is the secretary of the Armenian American Medical Society. He completed dental school at UCLA. He then completed a 1-year residency in Hospital Dentistry at the Long Beach Veterans Administration Hospital. Subsequently, he pursued a residency in Oral and Maxillofacial Surgery. He earned his MD from Wayne State School of Medicine, did two years of general surgery and completed his Oral and Maxillofacial Surgery residency at the University of Michigan, Ann Arbor, in 2009. He is in private practice in Glendale and holds staff privileges at Glendale Adventist Medical Center, Glendale Memorial Hospital and Providence St. Jospeh Medical Center. 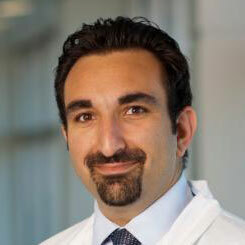 Dr. Kotikian is also an Assistant Professor at USC in the Department of Oral and Maxillofacial Surgery. Dr. Kotikian specializes in complicated dental implant cases, wisdom tooth extraction, and office anesthesia. In the hospital setting he performs facial trauma reconstruction, orthognathic surgery(corrective jaw surgery), treats obstructive sleep apnea patients, treats patients with oral pathology lesions and performs oral and maxillofacial reconstruction. Dr. Kotikian is a member of numerous organizations, including the American Association of Oral and Maxillofacial Surgeons, California Association of Oral and Maxillofacial Surgeons and the Southern California Orofacial Academy. He routinely lectures on subjects related to his field at both the local and national level. Dr. Kotikian has been featured in the LA Times, Chicago Tribune, Glendale Newspress and many other local newspapers for his work in the field of Oral and Maxillofacial Surgery. Dr. Kotikian has also been featured on CNN Headline News local edition, ABC 7 in LA and the Diane Sawyer nightly news on ABC. 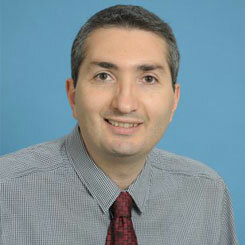 Dr. Kevin Galstyan is a graduate of Yerevan State Medical University; received his medical degree in 1996. He completed his Internship in General Surgery at the University of Illinois Metropolitan Group Hospital program; he then completed his residency in Obstetrics and Gynecology at Mount Sinai Hospital and Medical Center in Chicago, Illinois in 2006. Dr. Galstyan is a Diplomate of the American Board of Obstetrics and Gynecology and a Fellow of the American College of Obstetrics and Gynecology. He is an assistant professor at Midwestern University, AZCOM. Dr. Galstyan is currently in private practice at Glendale Memorial Hospital and Medical Center. As of January 2017, Dr. Galstyan has been serving as the chairman of the Department of Obstetrics and Gynecology at Glendale Memorial Medical Center. His expertise includes obstetrical care, gynecologic diseases and related outpatient and inpatient procedures. Dr. Galstyan has been an active member of the Armenian American Medical Society for the past 10 years and currently serves as a member of the executive committee of the organization. Dr. Silva Karchikian graduated from Yerevan State Medical School in 1972 and worked as an Internist in the small town of Vardenik, Martuni where she gained invaluable experience as a Physician and a community activist. Dr. Karchikian successfully passed all the state requirements and in 1984 became licensed to practice medicine in California. While working at UCLA-Wadsworth VA Hospital in clinical research in Diabetes, she began her private practice in Hollywood and later in the Glendale area. Over the past 10 years Dr. Karchikian focused on studying the role of lifestyle intervention in prevention of chronic diseases. Currently she has a Private Practice in Glendale, where she brings her knowledge and skills to serve the community. Dr. Karchikian was involved in founding the American Russian Medical Association where she continues to serve as an honorary member. In 1988 Dr. Karchikian became actively involved in AAMSC as a board member and went on to lead the organization as President from 1992-1996. 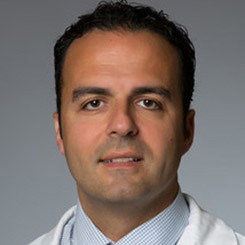 Dr. Garni Barkhoudarian is an Assistant Professor of Neurosurgery and Neuroscience at the John Wayne Cancer Institute at Saint John’s Health Center in Santa Monica, CA. Garni completed his undergraduate education at UCLA, majoring in Microbiology and Human Genetics. He attended the University of Michigan Medical School, wherein he was the Edgar A. Kahn Neurosurgery Research Fellow. He completed his Neurosurgery Residency at the UCLA Medical Center. He then completed a fellowship in Pituitary Surgery and Neuroendoscopy at the Brigham and Women’s Hospital and Harvard Medical School. Dr. Barkhoudarian’s clinical interests are minimally invasive skull-base surgery, pituitary disorders, benign and malignant brain tumor surgery, neuroendoscopy, adult hydrocephalus, trigeminal neuralgia and hemifacial spasm, and head injury / concussion. He is the director of the Adult Hydrocephalus and Neuroendoscopy program where he works with Dr. Daniel Franc to treat patients with normal pressure hydrocephalus (NPH) amongst other diagnoses. He is the director of the Brain Tumor Center Skull-Base and Endoscopic Microdissection Laboratory. Dr. Barkhoudarian is involved in a number of clinical and translational research studies, evaluating the genetics, diagnosis, treatment and results of patients with malignant metastatic tumors, meningiomas, chordomas and pituitary tumors. He is also evaluating children as well as active and former NFL athletes with chronic, repetitive concussions and brain injury. He has a special interest in the advancement of technologies for minimally invasive neurosurgical procedures. 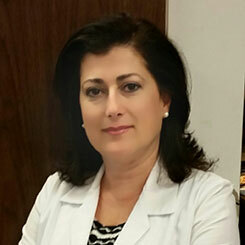 Dr. Silva Gasparian has been serving the community as a retail pharmacist for over twenty five years. She practices at Memorial Medical Pharmacy in Glendale, California. 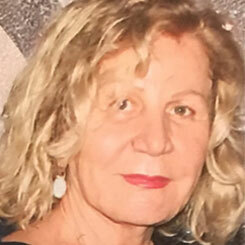 Dr. Gasparian received her undergraduate degree in Biochemistry at the University of California Los Angeles, then continued at the University of Southern California where she received her Doctorate of Pharmacy degree. Dr. Gasparian has been an active member of the Armenian American Medical Society since 2002 and currently serves on the executive committee as treasurer. She was born and raised in Beirut, Lebanon and currently resides in Glendale, California with her husband Aram and their two sons. Dr. Vicken Sepilian is board-certified in Reproductive Endocrinology and Infertility, as well as Obstetrics and Gynecology. He completed his residency in Obstetrics and Gynecology at Drexel University College of Medicine and his fellowship in Reproductive Endocrinology and Infertility at the University of Texas. While at the University of Texas, Dr. Sepilian received a Master of Science degree in Reproductive Medicine studying the impact of nutrition on reproductive health. Dr. Sepilian is the founder and medical director of American Fertility Specialists Medical Group and practices in Los Angeles and Glendale. 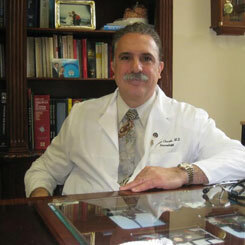 Dr. Sepilian is the former President of the Armenian American Medical Society (AAMS). In 2008, he launched the AAMS “Your Health” Community Education Program that continues to air live on TV making house calls to countless Armenian households. In 2010, Dr. Sepilian was instrumental in launching the inaugural Glendale Health Festival and served as the Chairman of the organizing committee for the first two years. In 2012, Dr. Sepilian presided over a collaborative effort with colleagues in Canada of the ACMAO to train, staff and equip the Women’s Health Clinic in Stepanakert, Artsakh. This collaborative effort by the AAMS, ACMAO, and the Ministry of Health of Karabagh continues to operate and provide preventative and essential health care to women free of charge. In 2013, as president of the AAMS, Dr. Sepilian Chaired the 11th Armenian Medical World Congress, a quadrennial international multispecialty conference that was very well attended and was one of the most successful ones to date. 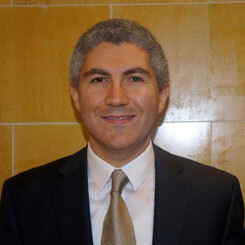 Dr. Sepilian currently serves on the AAMS’ Executive Committee. Dr. Cherik is a Board Certified Neurologist who has been practicing in Glendale since 1993. He completed his Neurology Residency Training at Kaiser Foundation and UCLA joint program in 1993. He has established a comprehensive Neurology and Neurodiagnostics center in Glendale, and serves as a consultant at Glendale Memorial, Adventist, and Verdugo Hills hospitals. He currently is a member of the Stroke committee of Glendale Adventist Hospital. Dr. Cherik acted as the Chairman of Department of Internal Medicine at Glendale Memorial Hospital in 1999, and is the past President and founder of the Pediatric Epilepsy program of Armenian American Medical Society. Dr. Tachdjian is Assistant Clinical Professor of Medicine and Pediatrics in the Divisions of Allergy and Clinical Immunology at the David Geffen School of Medicine at the University of California, Los Angeles (UCLA). 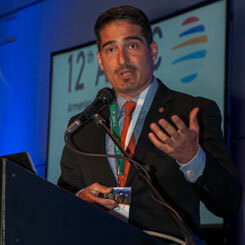 Dr. Tachdjian received his medical degree from Morehouse School of Medicine in Atlanta, Georgia, followed by an internship and residency in Pediatrics at Harvard Medical School in Boston, Massachusetts, and a fellowship in Allergy, Immunology, and Rheumatology at the David Geffen School of Medicine at UCLA. A member of several professional organizations, including the American Academy of Allergy, Asthma & Immunology, Dr. Tachdjian is an invited speaker and advisory board member for national and international meetings on allergic and immune dysfunction. He continuously authors scientific publications and serves as an editorial reviewer in peer-reviewed journals. Dr. Tachdjian’s research focuses on immune dysfunction, asthma and allergic inflammation, and he has served as primary or co-investigator of 15 grant-funded research studies. He was voted one of the UCLA Health System’s Best Doctors and was selected to receive the Editors’ Choice Award by The Journal of Allergy and Clinical Immunology. Dr. Tachdjian is also considered a world authority on Hereditary Angioedema and Chronic Granulomatous Disease, both orphan diseases with emerging treatment modalities he continues to develop. Dr. Tachdjian completed an internship at the Centers of Disease Control & Prevention, where he led the outbreak investigations and epidemiologic studies on Pertussis (whooping cough). He is credited with helping to understand the waning immunity of the pertussis vaccine, which led to current booster dosing in adolescents and adults. Board certified in Adult and Pediatric Allergy and Immunology, Dr. Tachdjian serves as Director of Clinical Trials of AIRE Medical Group of Los Angeles, with clinics in Santa Monica, and Burbank, CA. Finally, Dr. Tachdjian is the founder and president of the Children’s Music Fund (www.TheCMF.org), a 501c3 non-profit providing musical instruments and Music Therapy to children with chronic and life-altering illness.